Delete your credit card information from iTunes by going to Store > View My Account, then click on Edit Payment Information and now set the Credit Card option to “None”. Click “Done” and the Payment Information box should show “No credit card on file”. 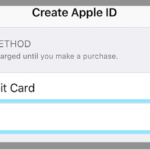 If you don’t want to give your credit card information, you can create an iTunes App Store account without a credit card. Please see this guide. Fund your account with an iTunes gift card. The cards can be purchased from many retailers like Walmart, Target, and BestBuy. Or, you can make iTunes purchases with a single-use credit card number available from your credit card company. If you are unable to do those, enter your credit card info when you want to make a purchase then remove it immediately after the purchase by following option 1. 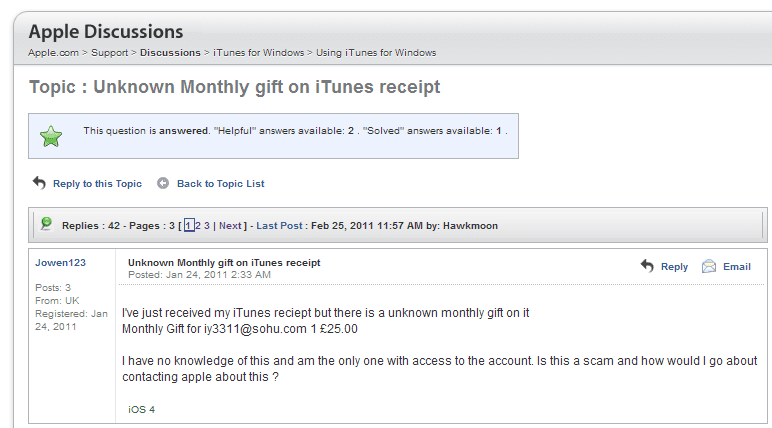 Double check your iTunes Account for Fraud to verify that your iTunes account hasn’t been hacked. To do so, click the Account link (on the right of the main iTunes Store page), log in, and then click the Purchase History. 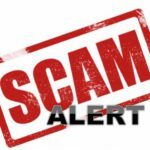 If you notice any authorization or charge that was not applied by yourself then you will need to contact your bank immediately so that they can cancel your credit card. Upon cancelling your credit card they will reissue a new one and process a charge-back. Next you should contact Apple via phone, or email if the phone option is not available, to inform them that your iTunes account was hacked so that they can investigate to prevent this happening from again. 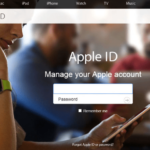 How to Delete Apple ID? 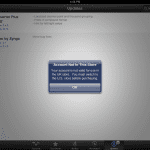 Sorry to hear about these unauthorized charges from iTunes (Apple.) 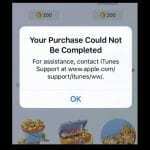 Please contact an iTunes Support Team Member to assist you in getting those charges reversed. Wow you can tell that Nicole chick that commented above is telling the truth about being an Apple employee. What a typical Apple mentality response. What’s sad is if she reads this she will not understand what I mean by this – the concept of customer service is beyond the comprehension of these folks. They literally think, “but… we’re Apple. We have that trendy guy and he’s not a PC”. It takes a certain kind of anti-consumer (really, an anti-people) mentality to work for Apple and yes, she is correct, they DON’T CARE about fraud committed against you. They got the money from you when the fraud was committed. Only THEY have access to that money (whether it still be in the fraud-‘ster’s hands or already spent on an app) but the $$ is still in their ecosystem. So giving it back would mean they don’t have the $$ anymore and, well, that’s a concept they’re not familiar with. Apple blows but their people are what truly make them a terrible company. That’s a really good point. The guy few replies ago who works for Apple, we are only human, some people aren’t that tech savvy to know about firewalls antiviruses and such. So it’s ignorant for him to say for example my 70 year old mother who has an iPhone who comes from a diff culture and generation ….where there were no credit cards or cellphones. So I can only explain so much to her but there’s always things people don’t know about ALLLLL the ways one can do to protect their identity and accounts as there’s really a LOT of steps if you really wanna fool proof it. But as you said, if we shut down those apps until a thorough investigation is done, it wouldn’t require my 70 year old mother and other people who may not be so tech saavy don’t have to be afraid and reluctant to even bother with phones and credit cards… Meanwhile if everyone finally got fed up of “protecting” our personal information and hack-proofing all their devices and computers and gave up, GUY THAT WORKS FOR APPLE, You would be out of a job and Apple would be going out of business. I would like to change my billing form a visa to “none”, but the “none” option isn’t there? I do not have an itunes account and I have received charges few times now and the bank doesnt want to help what can I do? 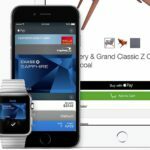 As an Apple advisor and someone that games and uses a credit card for online purchases, I have to say that this comment is 100% true: Neither the banks, Paypal, or Apple accept any responsibility. 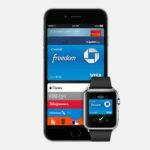 It truly isn’t the responsibility of the bank, paypal, or apple to “protect” your account. If you share your computer with another person without setting up separate accounts, whose fault is it? If you don’t take care of regular maintenance with your computer (this is mainly towards windows users that have no firewall/antivirus/etc. ), whose fault is it? Victims are not victims if they do not do everything possible to protect their information. If you receive a email from someone you’ve never heard of, it’s best not to open it. Many of these emails include links that may take you to a site that looks legit. 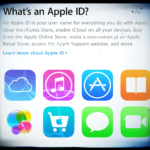 As for step 1 on this blog, you can sign up for an Itunes account without a credit card. You can then skip to step 3.